Fire Vault: Posthuman (I Love Acid) – eclectic club classics from acid house onwards. The I Love Acid are teh stuff of clubbing legend DO NOT MISS. Lightbox: Jacob Husley (fabric) returns for another bangin’ session! An incredible under-the-railway-arches multi room club with one dancefloor surrounded by an LED light ceiling and state of the art sound system. Accessed via a covered outdoor area that is the perfect break out space – it’s a great place for a family rave. 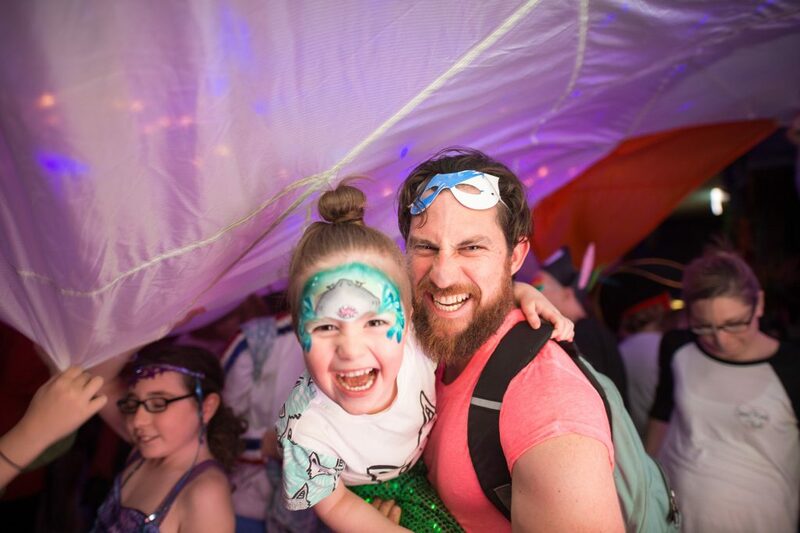 Join the award winning, world famous Big Fish Little Fish pioneering family ravers as they bring UK Garage, acid house, techno, house, hip hop, drum ‘n’ bass to families with 0-8 year olds with 3 rooms of live DJs. Facepainters our excellent facepainter will be on hand. Be transformed! Poppy & Perle. Kids £5 – Adults £7. To be painted children must be over 2. Cash only for face-painting. Optional fancy dress: Fiesta fun!